The Raspberry Pi has been available for order for a good few months already, with the first few shipped to their respective owners around 2 months ago. In short, the Raspberry Pi is a credit card sized fully functional computer (ARM GNU/Linux box). The device has an onboard HDMI-out, which allows you to connect it to any HD screen. It also comes standard with a Ethernet LAN port, microUSB power input, USB 2.0 port, RCA-Video out, 3.5mm audio jack, GPIO connection and SD Card slot. Labelled as the cheapest PC your money can buy, the question is whether you’d actually want one. On arrival you will notice that a number of steps were taken to save costs, the first being the uneventful box it was shipped in. After unboxing, however, all scepticism is squashed as you’re left with a PC so small it fits perfectly into the palm of your hands. This is where the simplicity ends, though, as you’re now required to get the device up and running, which is a fair bit trickier than installing Windows, and even Ubuntu for that matter. I chose to use the Debian “squeeze” OS; recommended for novice users. You can find a selection of downloads on the official Download Page. Surprisingly, my Logitech Wi-Fi Mouse and Keyboard combo worked perfectly from bootup without needing to install any drivers. Once you’ve installed your desired OS, there are no limitations to what you can do on this tiny PC, albeit that you’re required to install drivers in order to setup all other peripherals such as a Wi-Fi adapter and USB dongle. During the last few months, more and more accessories have been made available for purchase for your Raspberry Pi, most noticeably the new casing, which costs around R50. Since this device was developed mainly with experimental developers in mind, there have been loads of peripherals connected to it with some remarkable results. There are number of potential development opportunities with the Raspberry Pi, ranging from cameras to simple music players. My favourite of these being the Voice Controlled Robot seen below. At a price of around R350 (including shipping), there’s no reason to debating whether you should get one for yourself. The question, however, is whether or not you wish to tinker with its capabilities, and have fun in setting up almost all features and functionality of the Raspberry Pi. To the experts out there, this pocket-sized PC is a definite must-have, while it might not offer the same levels of interest to novice users. Despite being a novice user myself, I found that getting anything to work on the Raspberry Pi isn’t all doom and gloom, as there are hordes of tutorials and walkthroughs to assist you on your journey. That being said, I can recommend this device to anyone willing to spend some time with it. Raspberry Pi (Model B board) and accessories now available to order on RS websites across the globe without volume restrictions. These include associated accessories to enable users to get started, such as SD cards pre-loaded with the Raspberry Pi operating system and unique cases for safer storage. All customers will be provided with a forecasted delivery date when placing their orders, and not have to wait on a first come first serve basis spanning a few months. You can order yours online via RS Components South Africa for R299.99, excluding VAT. The Raspberry Pi Foundation is a charity established to promote the development of computer development skills in education across the globe. Its vision is for Raspberry Pi to provide budding IT developers and programmers with a base platform to exploit the full power and potential of computing within the Linux environment, at a remarkably low cost. 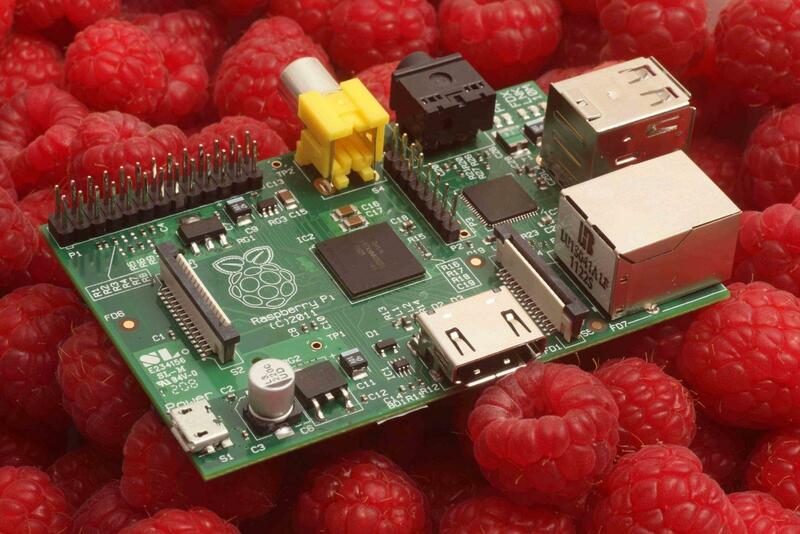 As such, Raspberry Pi computers act as an enabler for the next generation of programmers to enter the IT industry.